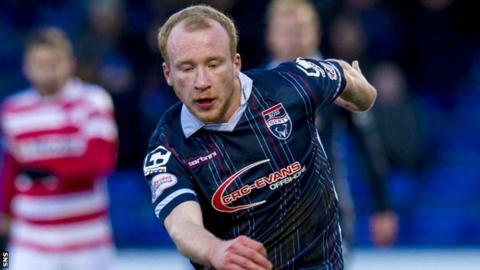 Ross County striker Liam Boyce was a late withdrawal from Northern Ireland's friendly with Slovenia as a hand injury denied him the chance of a seventh cap. The 24-year-old returned to the Scottish Premiership club ahead of the 1-0 win in Belfast after picking up the injury during training. Kilmarnock striker Josh Magennis and Aberdeen forward Niall McGinn came off the bench in the second half. Three other Scottish Premiership players were unused substitutes. Hamilton Academical goalkeeper Michael McGovern and Dundee United pair Paul Paton and Billy Mckay did not make an appearance. St Johnstone goalkeeper Alan Mannus was also part of the squad. QPR striker Conor Washington, who had himself been an injury doubt, scored the winner for Michael O'Neill's side, who were warming up for this summer's Euro 2016 finals in France.